Bonjour mon amis! I'm back from a very lovely break in Paris (Mr Graphic Foodie sure chalked himself some brownie points with this surprise trip). I did have enough time to research the hell out of places to eat and finally (after three failed attempts on previous trips), to get a table at one of the most recommended restaurants. We did do a couple of touristy things (Notre Dame and a night visit to Eiffel Tower is a must) but the best thing about returning to a city you have been to a few times eases the pressure to fit too much culture in. 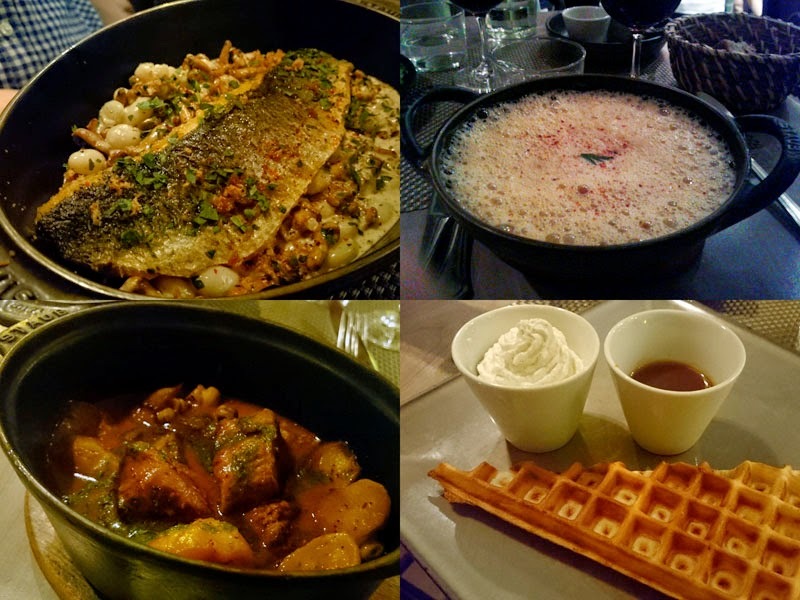 If you are off on a weekend break to Paris then here are my food recommendations. My to-eat list on this trip did me proud, I don't think I ate a single duff course. There are still plenty of places I didn't get around to, or have been to before, but have listed them as well. My meal here will certainly stick in my memory. For the price, the elegant yet robust food and some little clever quirks on flavour combinations, is unbeatable. My beef fondant in red wine was one of the nicest things I've eaten this year. Hence why booking is essential. Sit cheek to jowl and read the French only menus on the boards but staff are particularly helpful. Fabulous. This is a contemporary restaurant which celebrates the cocotte, a small, individual portion oven-proof pot. I really enjoyed dinner here, my foam bisque with langoustine ravioli was the perfect light start to the cocotte of rich veal. You must end the meal with their waffles. There is a no reservation policy and this is a very popular spot so arrive early. Quirky doesn't even begin to describe this place but in a city where brunch is ludicrous in price, Eggs & Co are just the ticket for a hearty breakfast to set you up for the day. As the name suggest they only do eggs, in a million guises; poached, scrambled, fried, omelette... It's fun, fresh and very well done. After a day or two of rich dining, my omelette with ham was exactly the simplicity I craved and Mr GF's egg benedict, as I would have expected, were excellent. A splash of tourist maybe but Chez Janou is ideal for lunch. Fun, friendly and cosy they serve classic dishes which are really well priced. Of course I had to order the signature chocolate mousse which comes in a gigantic communal bowl and you help yourself to however much you can eat or until you are sick. 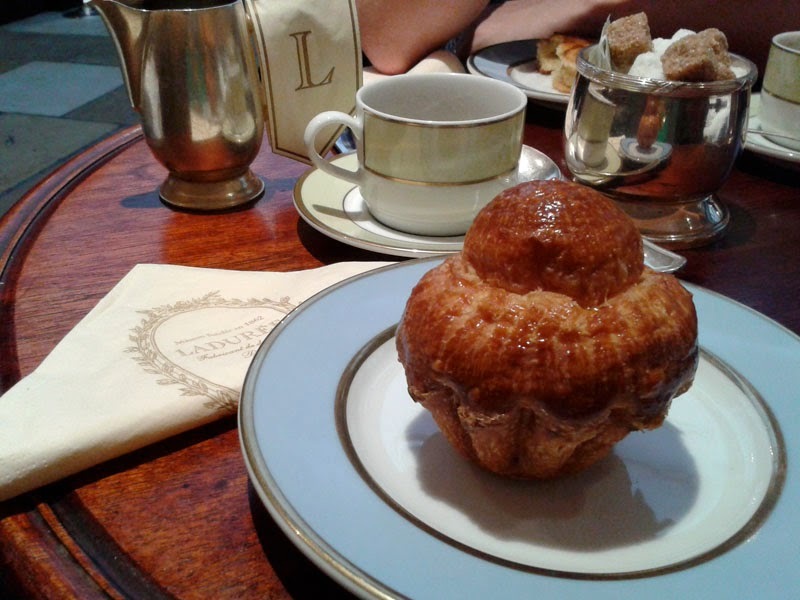 A Paris classic and number one spot for afternoon tea, a trip to Laudurée never gets tired. I like to go into the Bonaparte branch as they have a beautiful breakfast room which reminds me of the Brighton Pavilion. Perfect for pastries and coffee, served with real silver and pastel coloured bone china. I particularly like their gorgeously iced Religieuse cakes. A restaurant celebrating the dessert. But don't expect three courses of pasty, the dishes are composed of vegetables, fruits and herbs, perfectly balanced, but swung toward sweeter notes. Historic and typically Parisiene. Les Deux Magots is a little on the pricey side but a very elegant pitstop. Right next to Les Deux Margots and seems much of the same. They only serve one dish, steak frites and they do it well. Can get very busy. A classic bistro with affordable prices. Cheap as frites, boisterous but looks good fun. Great interior. 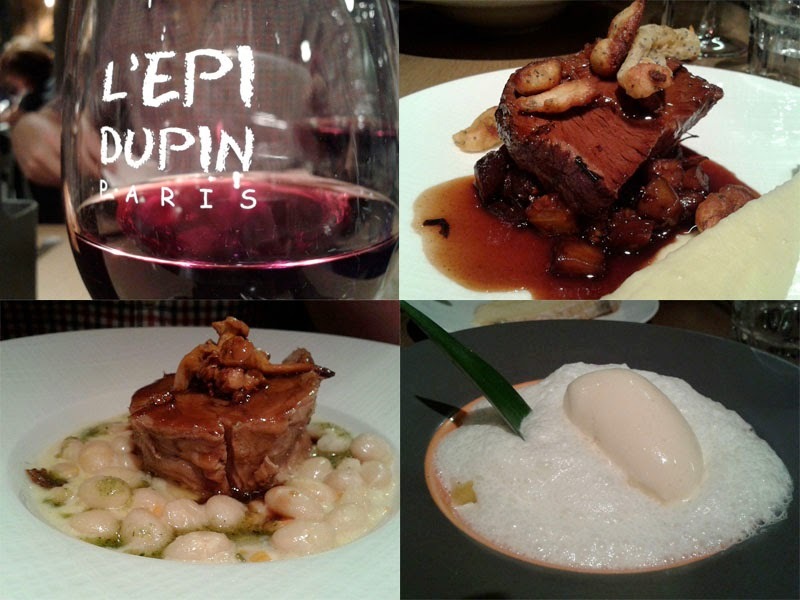 Highly recommended by Parisiene food blogger David Lebovitz. Part of the Flo chain. Good reviews and what an interior! 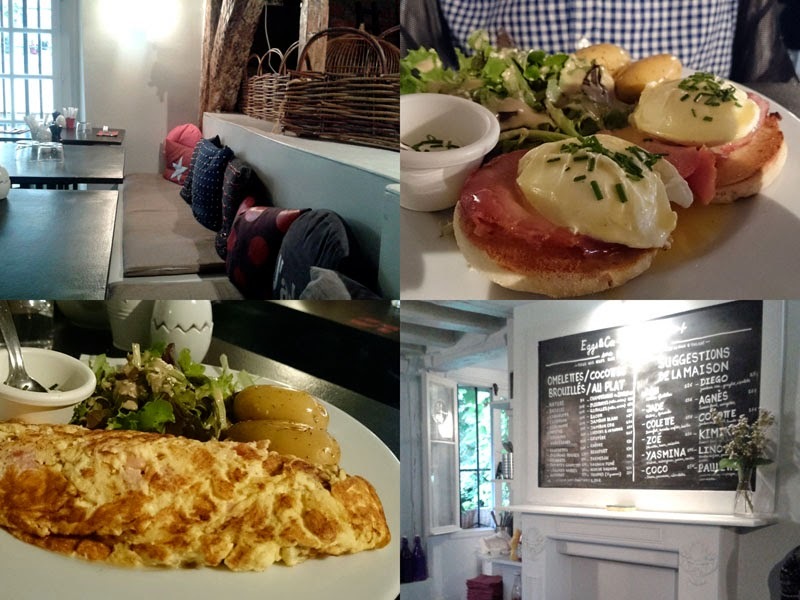 Affordable brasserie in a lovely atrium style restaurant. Ok, this brand is Belgian but sell some of my favourite chocolate. Expensive but worth it. A trip to Paris without a macaron pilgrimage to Pierre Hermé? Unthinkable. Husband and wife team. Try the baba au rhum, which comes with an extra pipette of rum so you can adjust the strength of booze to your preference. Self taught chocolatier who has relocated his lab above the shop here. There is also a beautifully designed tea salon where you can enjoy classic French pastries. Go for the made-to-order mille-feuille. Beautiful pastries and daily small batches of mille-feuille. Jean-Paul Hévin is a Meilleur Ouvrier de France – the highest distinction an artisan can aspire to – who's primarily known for his work as a chocolatier. There is a salon du thé here. A patisserie owned and run by a woman is still a rarity in Paris but Claire Damon gives the classics her own modern twists. Try her signature violet and blackcurrant Saint-Honoré. 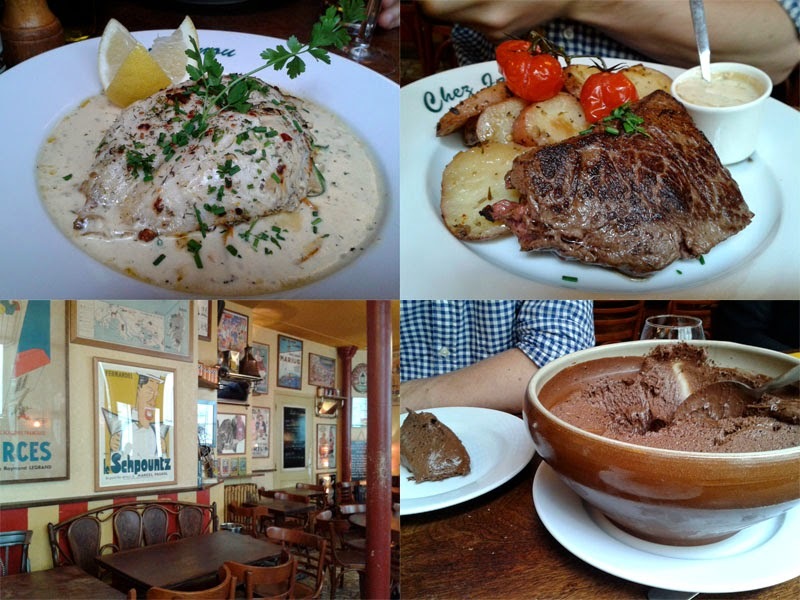 Chocolate & Zucchini blogger Clotilde Dusoulier's favourite place to eat in Paris, apparently. Service was a little rude on my last visit but loved it none the less. The most beautiful incarnations of the Saint-Honoré. Recommended by Brighton's own macaron master Juilien Plumart. 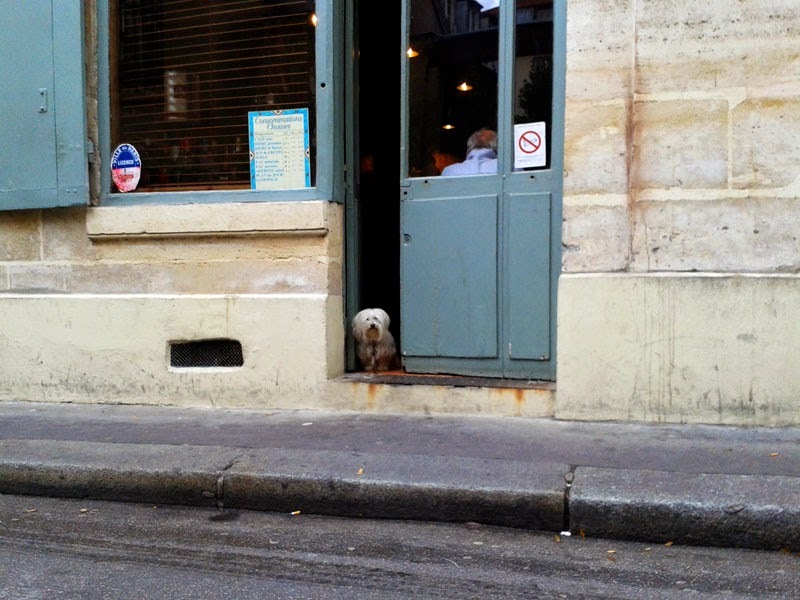 One of Paris' oldest cafes dating back to 1686. A private townhouse that entertained the likes of Delacroix, Chopin and Rossini. The museum houses romantic art and there is a beautiful tea room. Go for the Egyptian style tea made with hibiscus flowers and cinnamon. Thanks so much to everyone that suggested places via Twitter, especially Brighton fashionista What Laura Did Next who clearly is a seasoned Paris visitor. 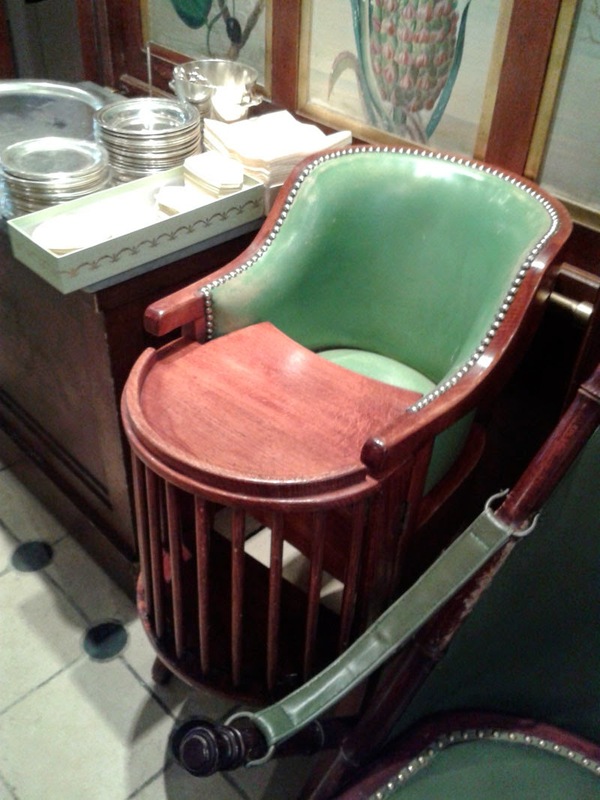 On a side note - we didn't take little Foodie with us on this trip (mean parents, but you know..) but dix point to Laduree for the poshest kid's high chair on the planet!